Injustice 2, NetherRealm Studios’ popular DC Entertainment-based fighting game, is entering a free trial weekend today on consoles. Players will be able to try Chapters 1-3 of the Story, and have a go at the complete multiplayer component. 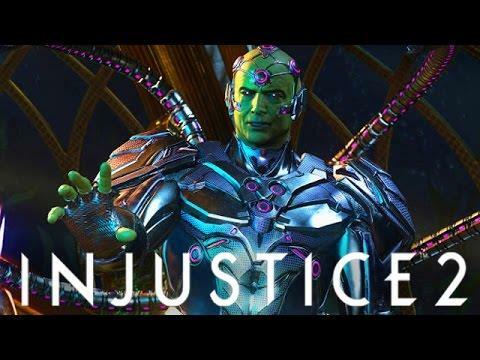 All of the base characters will be available, except Brainiac. Why not Brainiac? I guess NetherRealm figures ‘why buy the cow, when you get that sweet Brainiac milk for free?’ Gotta hold something back to get people to buy the game. So...let them have everyone, but not...let's say Brainiac. Sure, that's the ticket.